We stood in the middle of the vineyard, looking at the dark clouds off to the distance, as Julia described where we were. The Dão region sits on three plateaus and is surrounded by mountains. As a result, her vineyard sits at a high altitude and is exposed to sun. The days are hot and the nights are cool with significant diurnal shifts. The soils are granite, schist and quartz. All of these characteristics make up the terroir of the Dão, which has no outside influences due to being protected by the mountains. The property we were standing in has been in Julia’s family for more than 400 years. For centuries, her family had made wine as a hobby and sold the majority of the grapes. Each generation another male heir took over. The women were not discriminated against, Julia explained, but they were never invited to participate. That was until Julia, a lawyer based in Lisbon, was chosen out of 45 cousins to take over the family business. It was an extreme responsibility. She contemplated the offer for three years and finally decided to accept the offer in 2000. Julia took over the 60-hectare property (20 of which are under vine) and spent the next few years cleaning it up. 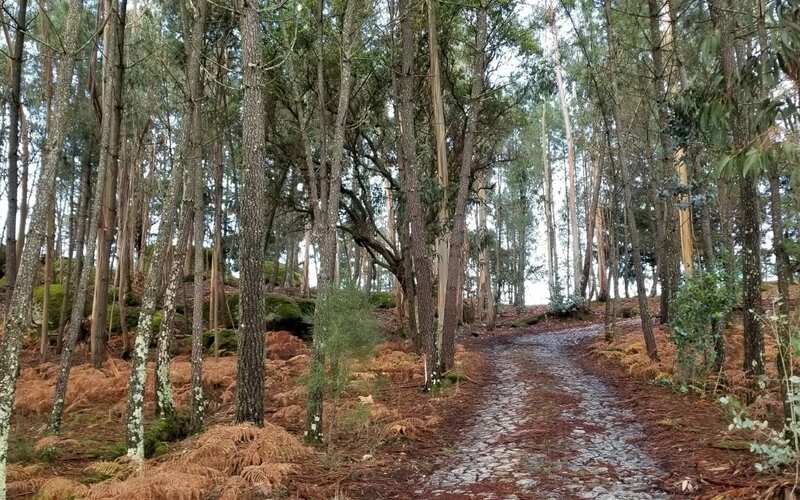 After finding old containers, dating to the 1930s, once filled with chemical fertilizers, pesticides and herbicides buried in the land, she removed them and decided to convert to organics. Julia also decided to stop selling the grapes and decided to make wine from the family estate. She hired French wine consultants to study the soil, help replant the vineyards and create the brand. The Dão region had long produced field blend wines, but Julia and her consultants believed that it would be easier to sell single-variety wines. She focused on learning what each grape offered and no longer grows field blends. She commented that she is the first member in her family in 400 years to actually know what a grape like Touriga Nacional tastes like. Julia was ready to release her first wines in 2008 but needed a name for the brand. She thought it would be easiest to use her own name. 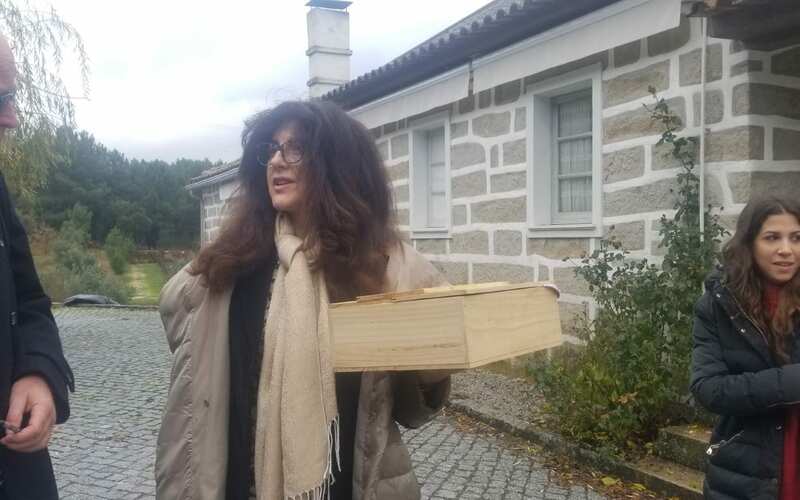 But, like most Portuguese people, her full name is composed of 14 names, six which appear on her passport. 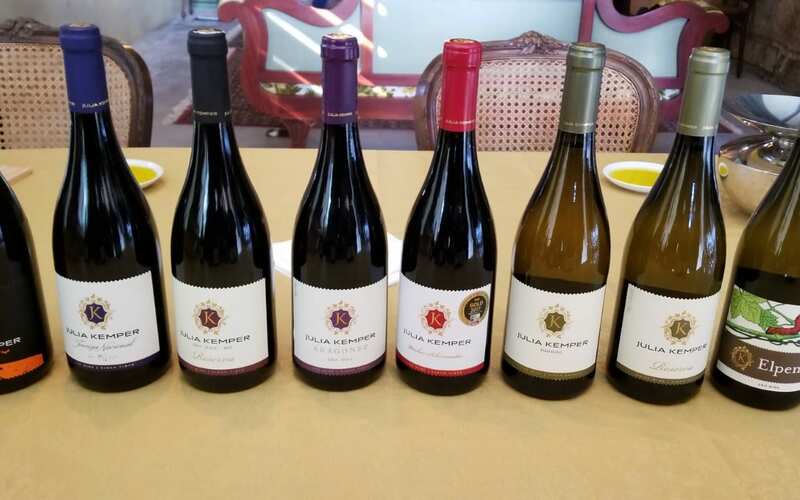 As an attorney, she went by Julia de Melo but decided to name the winery Julia Kemper, after one of her other family names. After all, Kemper, according to Julia, is a name that even the Chinese can say. And that is important, as Julia Kemper wines are sold from Canada to China. 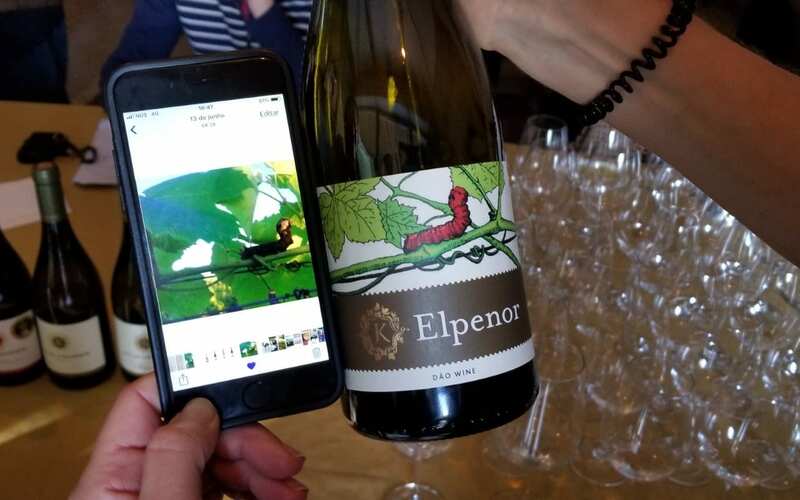 Elpenor Vinho Branco 2017 – “Elpenor” is Greek for caterpillar. They found a caterpillar on one of the organic vines and that image became the image on the label. The Elpenor wines do not see any oak. This white blend was fermented in stainless steel. It is light, crisp and fresh with grapefruit and mineral notes. Julia Kemper Vinho Branco 2016 – A white blend of Encruzado, Malvasia and Semillon, about 25 percent of this wine spent time in new French oak. The wine is fresh with bright citrus and floral notes and a slight creaminess on the palate. Julia Kemper Reserva Vinho Branco 2015—This Encruzado-based wine spent one year in new French oak resulting in a wine with grapefruit, stone fruit and mineral notes, a soft, rich, full-mouthfeel and delicate acidity. Elpenor Tinto 2014 – A red blend that sees no oak, the wine is fresh and juicy with black cherry notes. Elpenor Reserva Touriga Nacional 2014—This single varietal wine spent four years in oak barrels. On the nose, it has fresh aromas and flavors of cherry and blackberry. On the palate, the soft, yet grippy, tannins lead to an elegant and velvety finish. 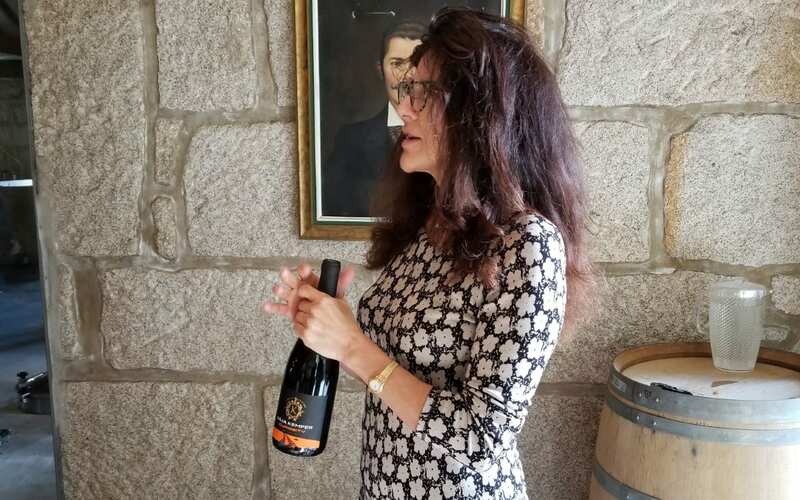 Julia Kemper Curiosity 2012 – A wine made primarily of Alfrocheiro, with 10 percent Touriga Nacional, it spent two months in old French oak barrels. Notes of black forest fruits and a hint of fresh herbs give way to drying tannins and a long, mouthwatering finish. 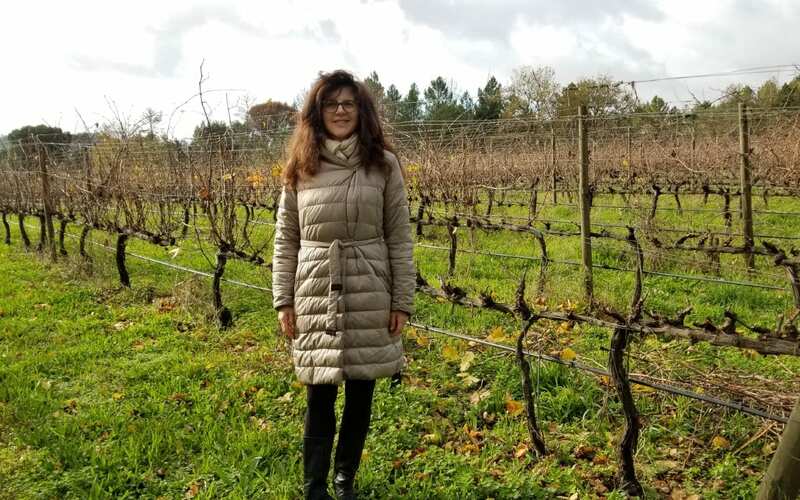 Standing in the vineyard as Julia shared her story, she stressed that she had been happy practicing law but she likes this wine life even more. It was a fantastic first stop in the Dão region. She had said that we needed to be there to understand the terroir, and by understanding the terroir, I began to understand the Dão. Read the original story in the Napa Valley Register here. 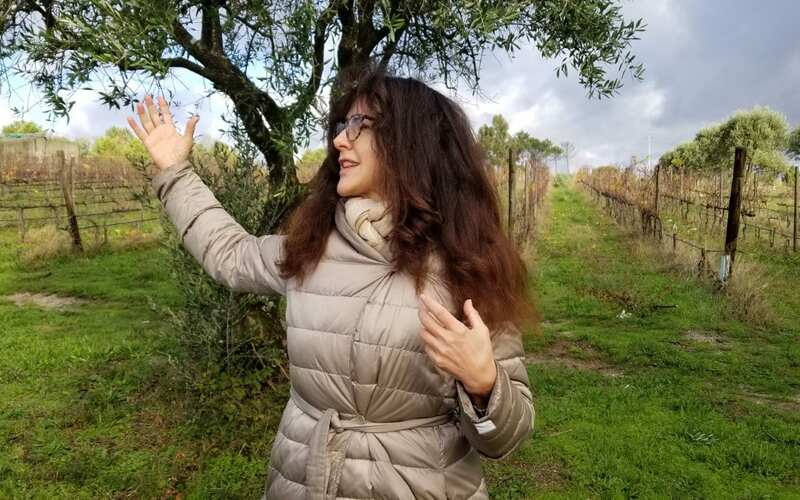 This entry was posted in Lifestyle, Travel, Wine and tagged Dao, Dao wine, Dao Wine Region, Julia Kemper Wines, Julia Melo, Julia Melo Kemper, Napa Valley Register, Portugal, terroir, Wine by Allison Levine.